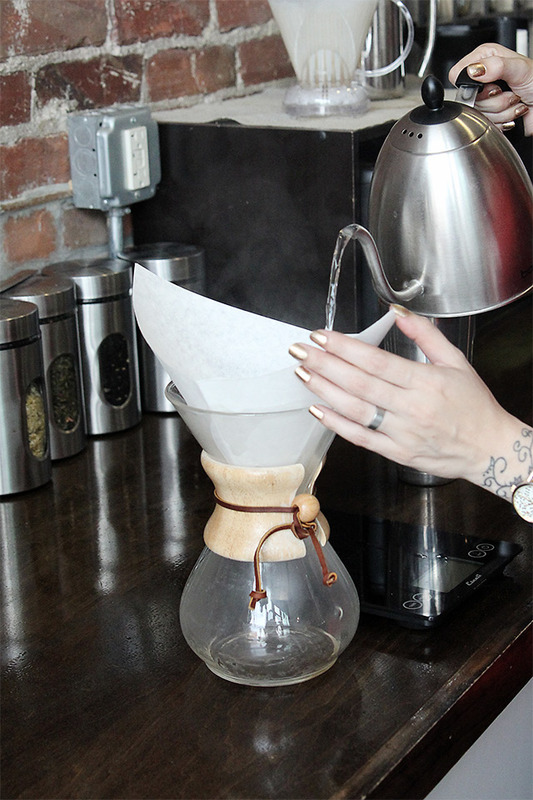 It’s time for our third lesson in manual brewing methods: How to use a Chemex. Before JB and I learned how to use the various manual coffeemakers, including a French press and Clever, we decided we’d purchase whichever one we liked best. I’ll admit I was hoping the Chemex would be my favorite simply for aesthetic reasons. The hourglass-shaped glass with polished wood collar and leather tie would be a beautiful addition to our morning coffee ritual. The design is so iconic, in fact, that it’s on permanent display at the Museum of Modern Art in New York City, among other institutions. Lucky for me, we both agreed that the Chemex produced the best tasting coffee — flavorful without the bitterness. 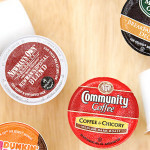 It uses specially-designed filters that remove the undesirable oils and prevent even the finest sediment particles from the finding their way into your mug. The Chemex is a pour-over, which means there’s a bit more work involved than with an immersion method like French press, for example. 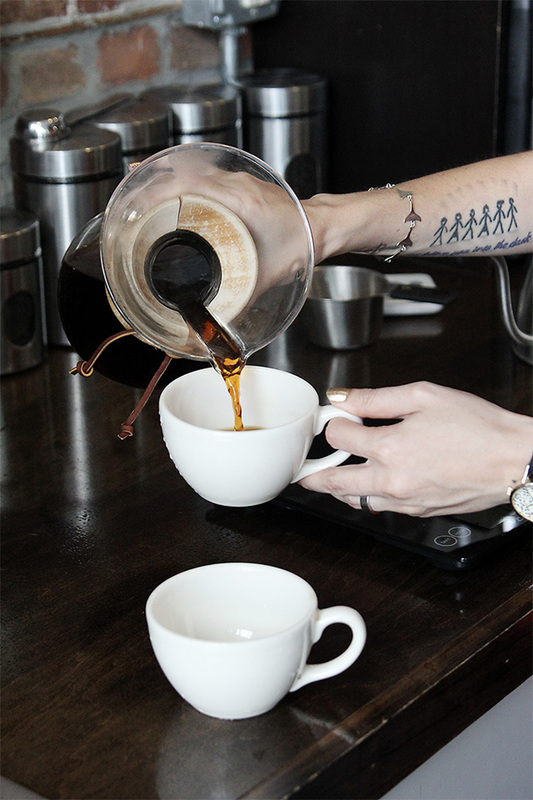 Kait Berreckman, the training manager at Aromas in Omaha, explained that every milliliter of water you add (and you have to add it at a slow and steady pace) is actively brewing the coffee. In other words, you have to have a bit of patience to use a Chemex, but I think it’s worth the extra time. 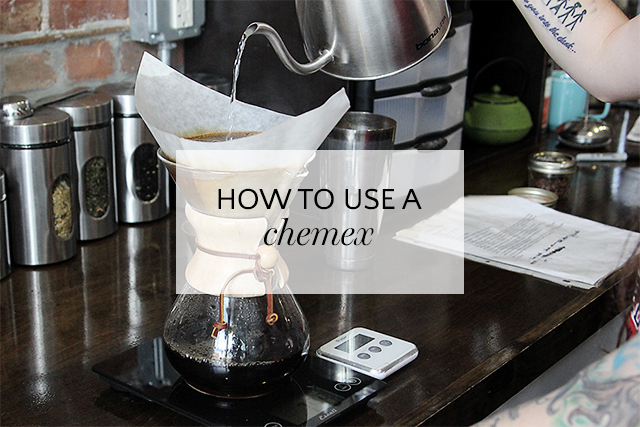 Want to brew coffee using a Chemex? 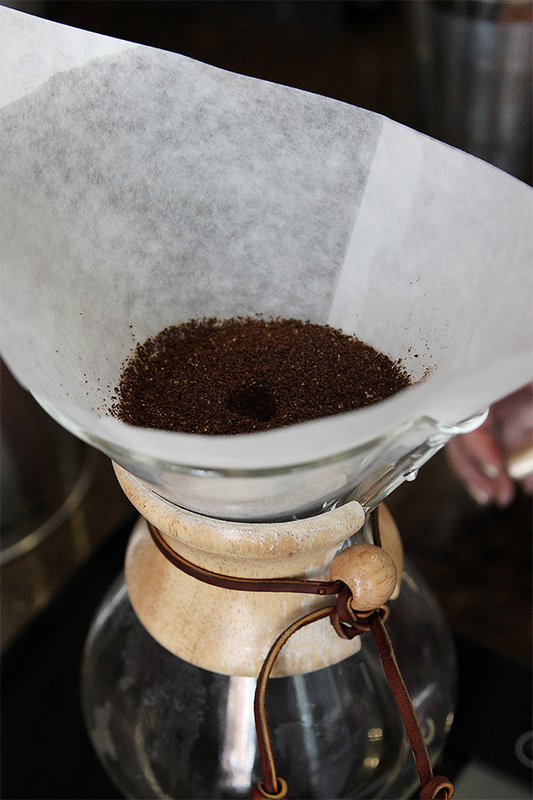 Step 1: Place a folded filter into your Chemex with the three-layered side against the pouring spout. 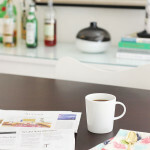 Saturate the filter with hot water to rinse any paper flavors and to preheat the glass. Discard rinse water (don’t take out the filter! ), using the excess to preheat your cup. 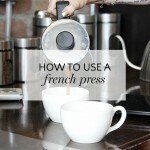 Step 2: Weigh out 50 grams of coffee beans and grind on a medium or medium-coarse setting in a burr grinder. 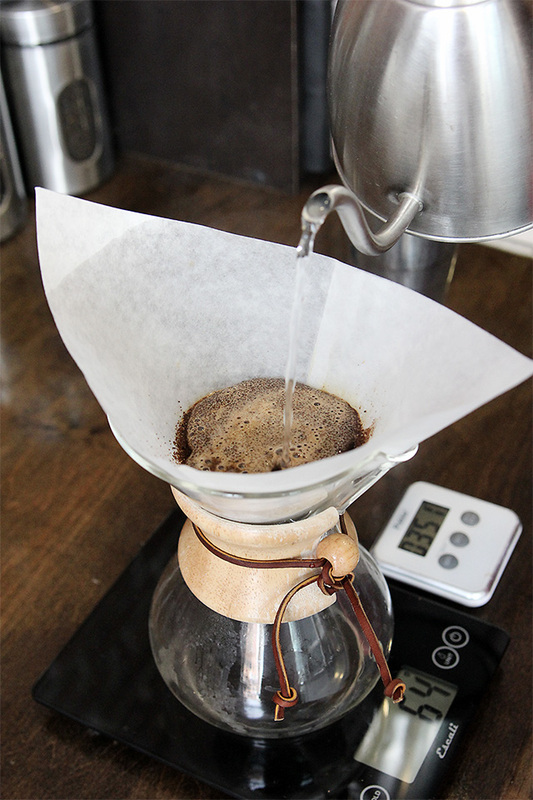 Pour grounds evenly into your Chemex, giving it a gentle shake to level. Make a small hole in the center of the grounds using a coffee scoop or your finger. Place on scale and tare to zero. Step 3: Bring water to a boil and remove from heat. Wait approximately one minute for water to cool to 205 – 210 degrees F (or when it stops vigorously boiling). Starting at the center indentation, slowly pour water in a circular motion until the grounds are barely saturated. Wait 30 seconds to allow coffee to “bloom,” when the gas found in roasted coffee is released. The fresher the coffee, the bigger the bloom! Step 4: Continue saturating the grounds by pouring slowly and steadily in a spiral. 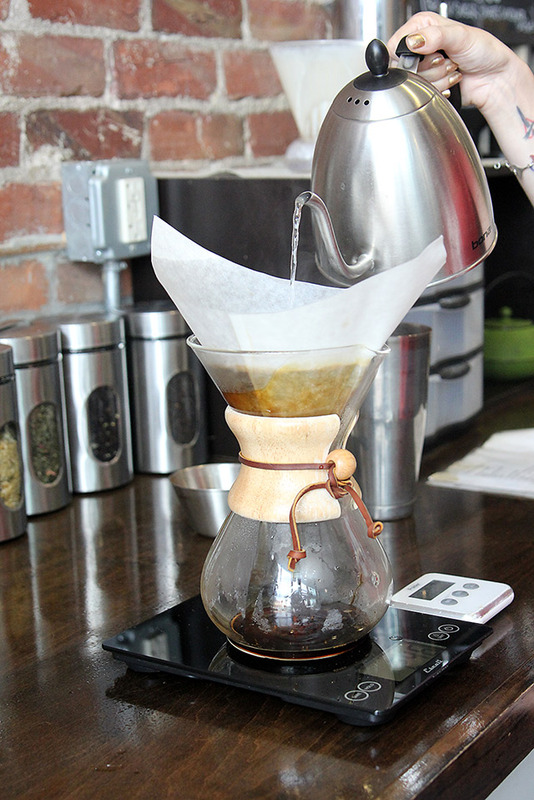 The rate you pour the water in should be similar to the rate the coffee drips out into the bottom of the Chemex. When circling near the edges, take care to avoid pouring water down the sides the filter, and keep the water level well below the rim. Step 5: Stop adding water when the scale measures 850 grams. The total brewing time, from first pour to final drips, should be about 4 minutes. 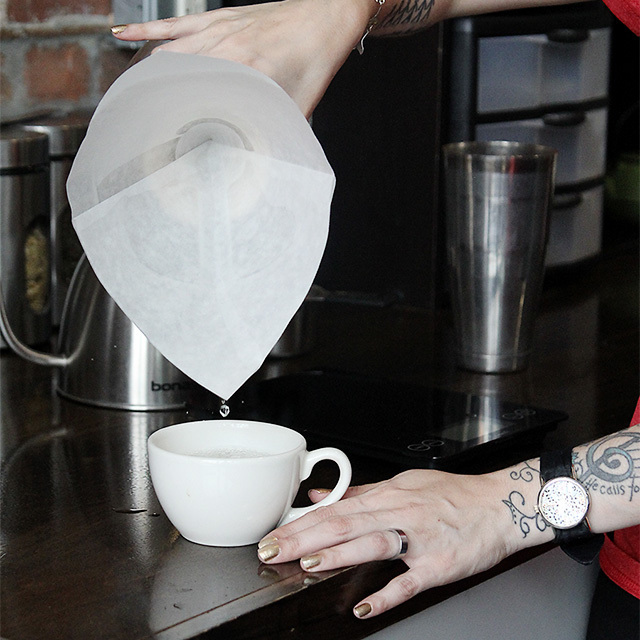 When the coffee has finished brewing, simply lift up the filter and discard. Pour into your preheated cups and enjoy! A big thank you to Ally Wallin, the barista at Aromas who demonstrated the Chemex and was our model in these photos! 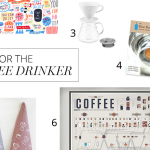 PS – The best time of day to drink coffee, and a set of beautiful mugs.